Blaming “hostile foreign forces” for economic and social ills trades short-term gain for long-term pain. It was bound to happen. As China’s stock market continued its wild ride, dropping 30 percent by early July from a seven-year high only a month prior, rumors started swirling that Goldman Sachs, Morgan Stanley, and George Soros, among other vague forces of international capital, were to blame for the stock market plunge. 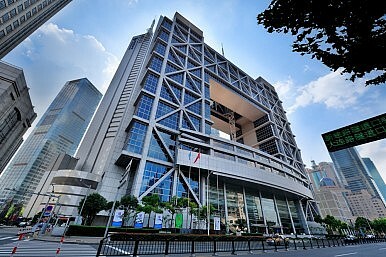 No matter that foreign investors have only limited access to mainland Chinese stock exchanges, the current Chinese leadership has become addicted to the foreigner blame game. The phrase “hostile foreign forces” has become a catch-all for Chinese officials, scholars, and media commentators who cannot acknowledge the reality of China’s current political and economic situation. In the past few years, virtually no area of Chinese policy has remained untouched by the influence of “hostile foreign forces.” China’s education minister Yuan Guiren argues that “young teachers and students are key targets of infiltration by enemy forces” and condemned Western concepts such as the rule of law, civil society, and human rights. The Chinese Academy of Social Sciences (CASS) accused “hostile Western forces” of exaggerating the number of people who died during the Great Leap Forward in order to undermine the legitimacy of the party. CASS also worked with China’s National Defense University and the General Staff department of the People’s Liberation Army to produce a film that claims U.S.-China military-to-military exchanges offer Americans a chance for infiltration and attacks the longstanding Fulbright program as an element of “America’s cultural invasion.” Western reports of police violence in Xinjiang were attributed to hostile foreign forces in August 2014. The vice chairman of the All-China Federation of Trade Unions, Li Yufu, blamed hostile foreign forces for attempting to undermine the solidarity of Chinese workers. Early in China’s clean air movement, as well, some officials argued that the activists were being used by hostile foreign forces. And, of course, hostile foreign forces were a major contributor to the protests in Hong Kong. Even President Xi Jinping has warned against outside forces intruding on Chinese religions, although virtually all major religions in China today came to the country from outside its borders, and two of the largest, Buddhism and Catholicism, are led by religious figures who reside outside China. This flurry of anti-Western rhetoric has also been accompanied by a number of legislative efforts designed to limit Western influence. A broad-reaching new National Security Law is tasked to “safeguard national security, defend the people’s democratic dictatorship and the socialist system with Chinese characteristics” as well as to realize “the great rejuvenation of the nation.” China’s national security commission is also drafting legislation to severely regulate foreign-based nonprofits for fear that Western governments will use these organizations to undermine the Communist Party. A cybersecurity law presented earlier this year, since put on hold, would have required the banking industry to use equipment deemed “secure and controllable” by Beijing, essentially closing the door for foreign information technology firms. Meanwhile, a separate proposed anti-terrorism law would require technology firms to provide encryption keys and install backdoors to allow law enforcement to access information. While the Chinese leadership may see such rhetoric and policies as a cheap and easy way of deflecting attention from their inability to address the challenges before them, this strategy trades short-term gain for long-term pain. As the political atmosphere turns sour, China will become a less attractive destination for many foreigners. Overall, twice as many foreigners left China than arrived in 2014, and while the United States still supplies more expats to China than any other country, 22 percent fewer Americans moved to China in 2014 than in 2013. Beijing also risks losing credibility with the most educated segments of Chinese society. Even as less informed Chinese may buy into the anti-Western narrative, each time the “hostile foreign forces” argument is introduced, Chinese netizens fight back. Chinese labor union activists, for example, have argued that their discontent derives not from the infiltration of foreign forces but from the failure of the All-China Federation of Trade Unions to protect their interests. And certainly the constant drumbeat of anti-Western sentiment emanating from senior Chinese officials does little to support their claim that they want a trust-based “new relationship among major powers.” The China Dream may eventually come to represent a unique and compelling combination of Chinese traditional values, Marxism, and Xi Jinping Thought; but in the meantime, Chinese leaders shouldn’t take the easy, but ultimately self-defeating and poisonous, path of using anti-Western values to fill the void.